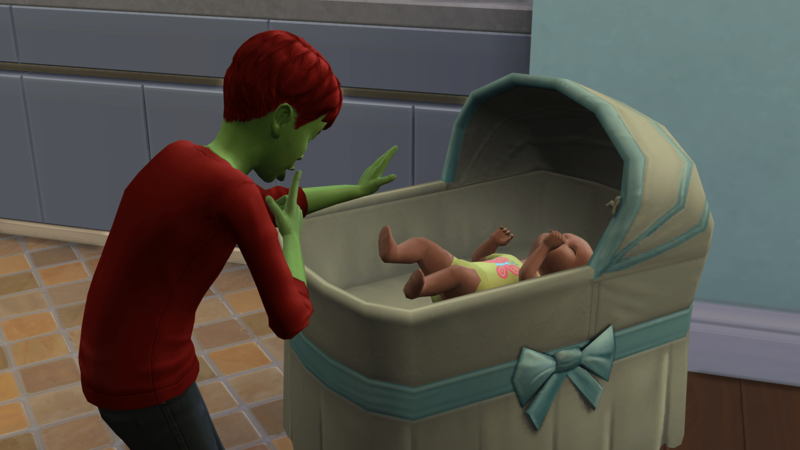 After the drama of the last chapter, the kids were left orphans and trying to make things work. Theo spent time playing with Tabby trying to keep her calm. He didn’t have much success. 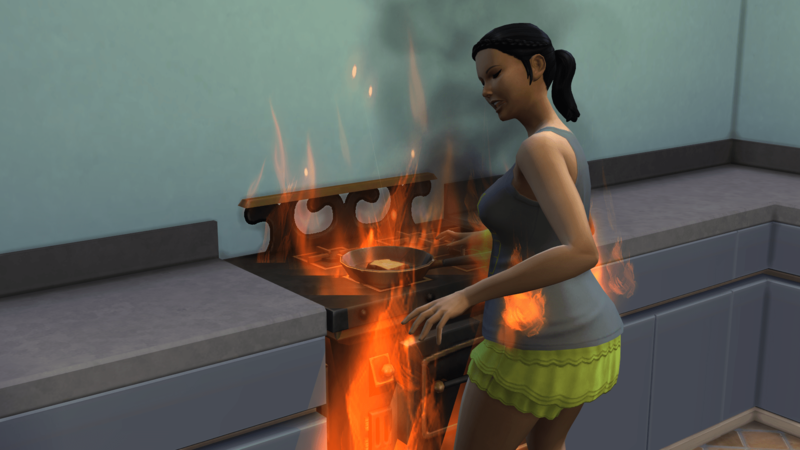 Drama continues though as Tasha promptly sets herself on fire. 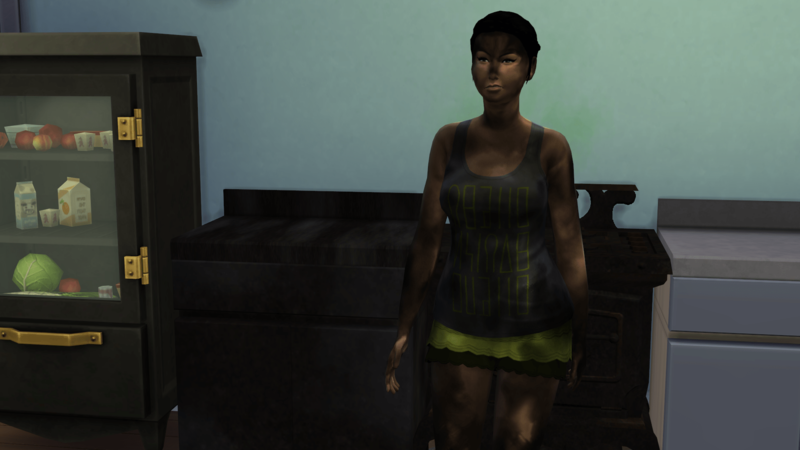 Charred, Tasha realizes that everything in the house is breaking, there is no income coming in, and she takes a part time job to attempt to pay the bills. 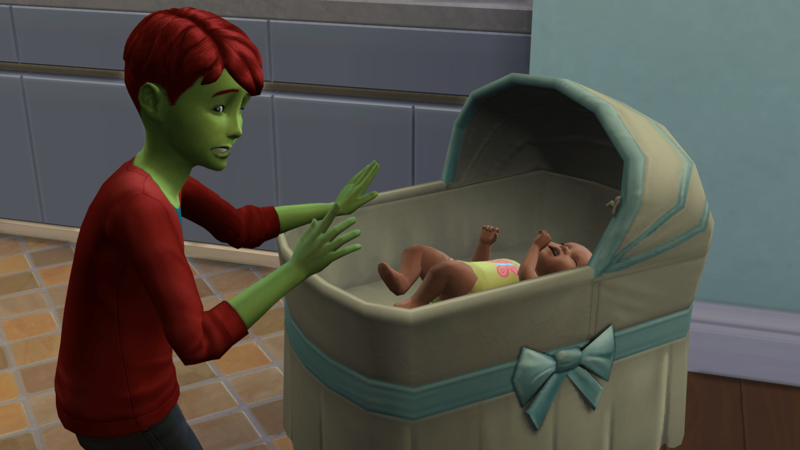 Things get a little bit easier when Tabby leaves the bassinet. Not much easier. 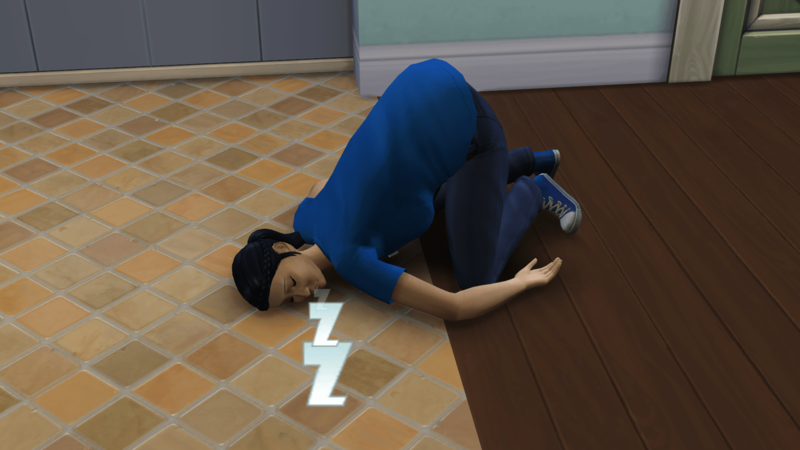 Tasha finds that working while going to school is exhausting. The weekend comes and they have a quiet weekend, relatively. 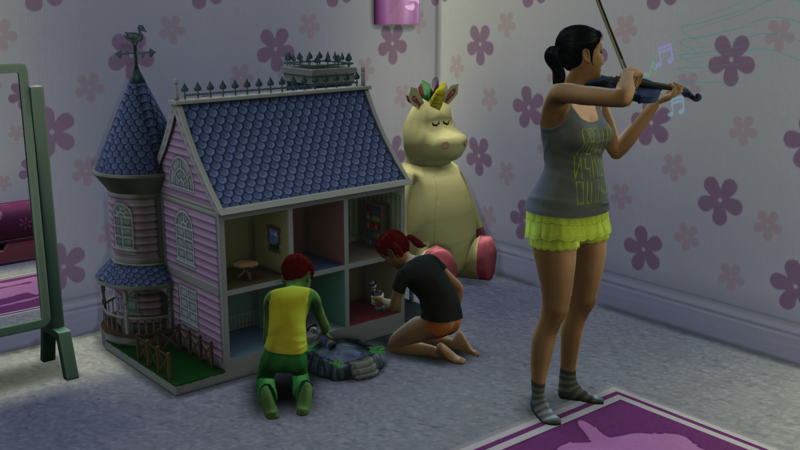 Realizing that the house was too expensive, Tasha switches it out for a cheaper one. 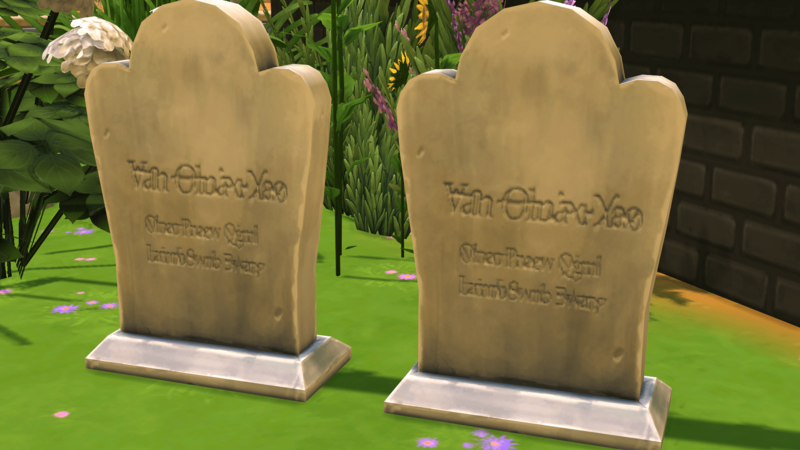 They place the tombstones outside in a nice garden and settle into their new home. 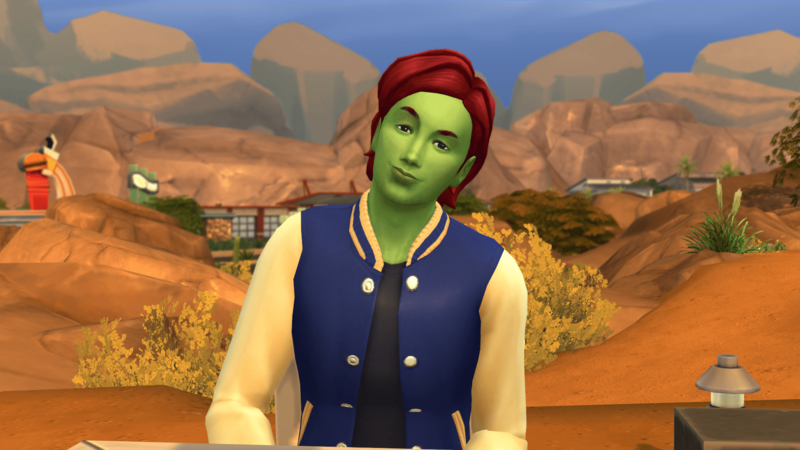 (It is possible to use the gallery to switch out one house for another without actually moving to a new lot. Once again a birthday was missed and Theo was Sad. 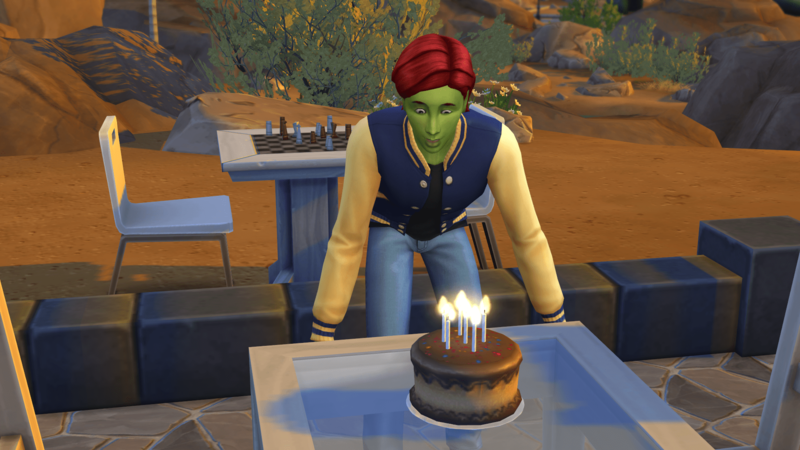 He called the Sad Hotline and decided it was important to celebrate with a cake. 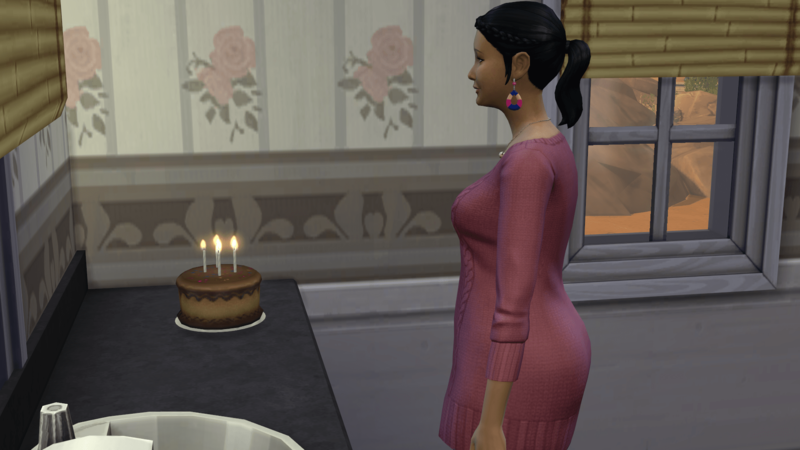 Tasha is the first one to have a cake. They are still growing up alone but just having the cake makes them happy. 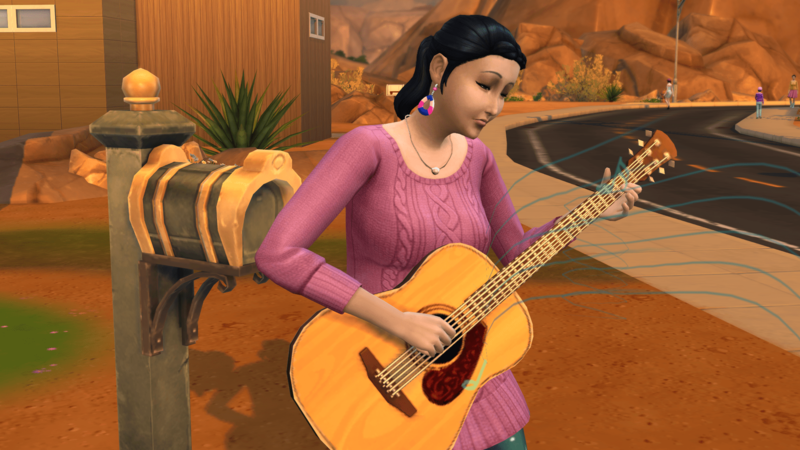 Tasha takes a job in Entertainment and learns the guitar. She also learns the piano. 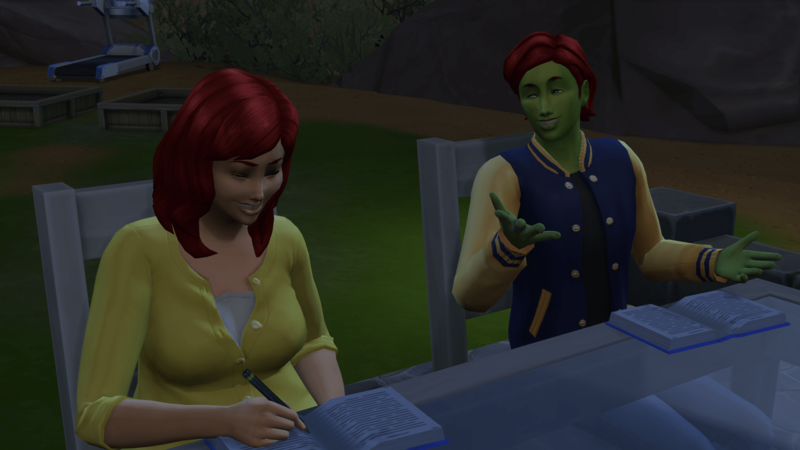 She finds time to spend with Tabby reading her stories. 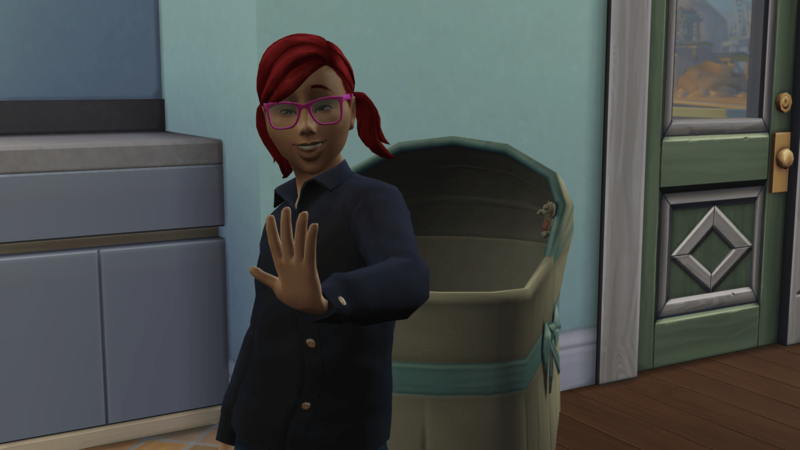 And Tabby grows up. Yep missed taking that picture. 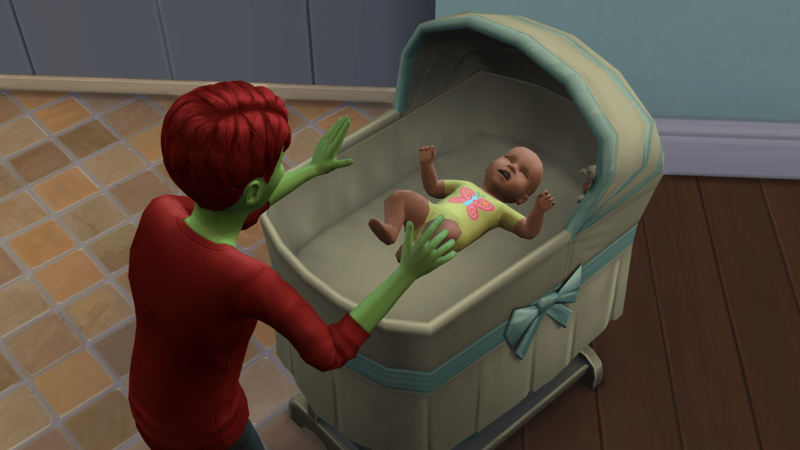 Theo is the heir as he is the only one with green skin. 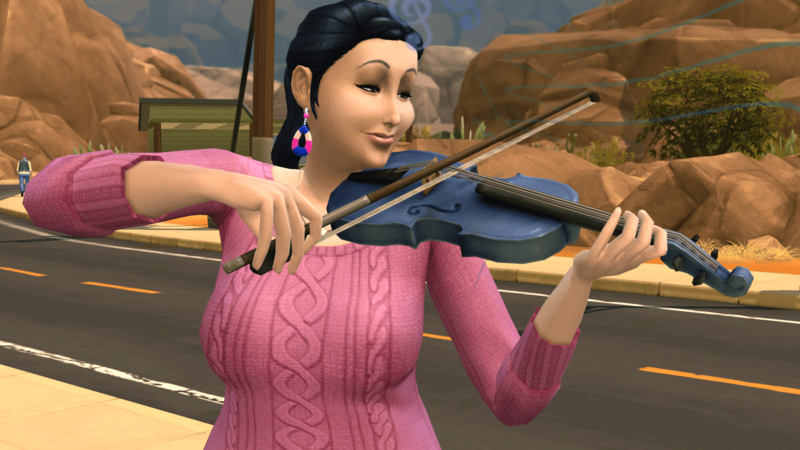 Tasha plays for her siblings to try to make them feel better. Tasha is Angry and Theo is Tense. 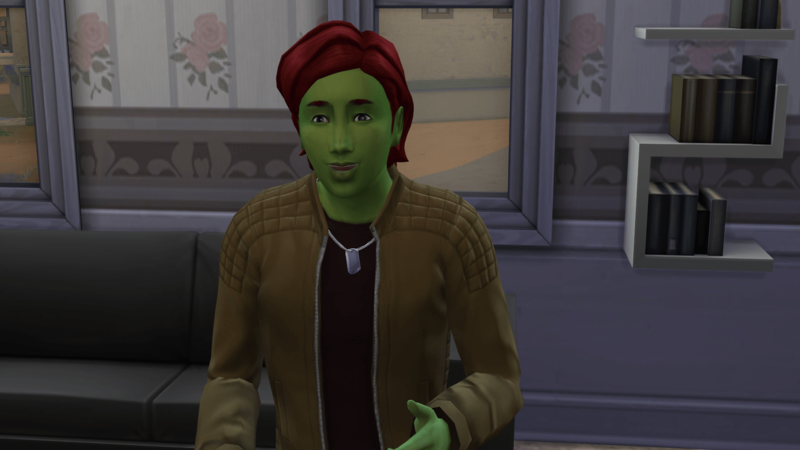 And the heir is a Young Adult and officially takes over the household. 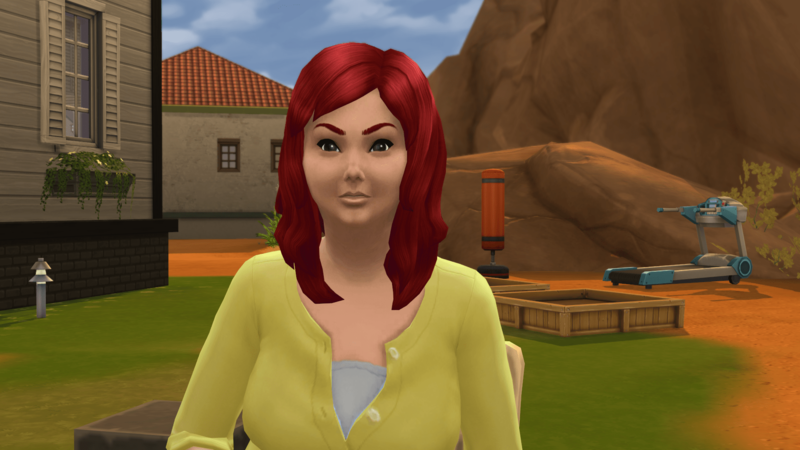 Tasha moves out and is available on the gallery.